When a Marine veteran collapsed near the finish line of the Boston Marathon, he pushed forward and crawled to the end in honor of his fallen comrades. 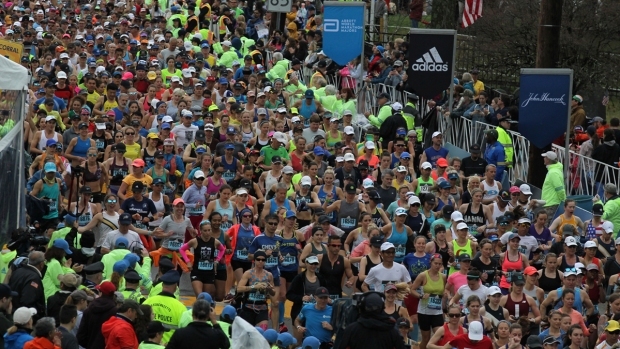 Tens of thousands of marathoners from around the world participated in the iconic marathon on Monday, but video of Micah Herndon doggedly making his way to the finish line drew particular interest, quickly spreading on social media. The Record-Courier in Portage County, Ohio, reported that Herndon ran to pay tribute to fallen Marines Mark Juarez, Matthew Ballard and Rupert Hamer. The trio was reportedly killed in a bombing in Afghanistan in 2010. Their names were written on his hand, his shoes and his race bib. "If I get a heat cramp while running or my feet hurt or I am getting exhausted, I just keep saying their names out loud to myself. They went through much worse, so I run for them and their families," Herndon told the newspaper ahead of the race. Herndon, 31, said he never considered giving up even when his legs started giving out about 4 miles from the end of the race Monday. He said his military training kicked in when he dropped to his hands and knees and crawled, at times pulling himself on his stomach, for the final 100 yards. "It was kind of second nature,'' he said Tuesday, a day after finishing his third marathon. "They instill 'adapt and overcome.' Any situation you're in, that's what you do." 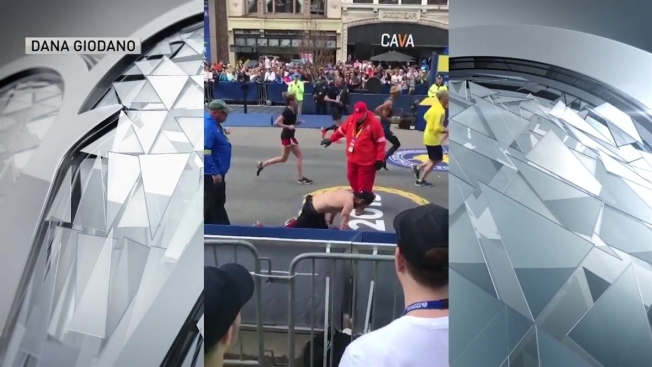 Video of the scene showed marathon volunteers clearing the way for Herndon as he completed the race on his hands and knees. Herndon finished in 3 hours and 38 minutes, according to the race results.